Wichita State teaching assistant Pavan Bhavsar works with students at the College of Engineering's Mechanical engineering department. Wichita State's Experiential Engineering Building. Funding from the state's engineering intiative was used to partially finance the building. Lab supervisor David Bruner, left, works with students in the mechanical engineering department at Wichita State's College of Engineering. Wichita State engineering students work in the mechanical engineering department. Wichita State engineering students work on their car at WSU's College of Engineering department. Wichita State engineering students receive tutoring at the GEEKS tutoring center. The center is specifically designed for helping students with engineering courses. Wichita State engineering students work in the Cyberton Computer Studio. Computer company Cyberton International provided technology for the studio as part of a donation to the university. In 2011, Kansas set a goal to crank out more engineers. The packed job fair showed some of the results of millions spent through the University Engineering Initiative to achieve that. But some researchers say the evidence doesn’t support continued full-throttle spending on an engineer-building machine when the demand is so strong to churn out a steady supply of workers with other skills that get significantly less investment. The engineering initiative gives Wichita State University, the University of Kansas and Kansas State University $210 million over ten years — half allocated by the Kansas Legislature and the other half from the universities — to graduate 1,365 engineers a year by 2021. So far, the schools are on course to hit that objective early, perhaps in the next year. 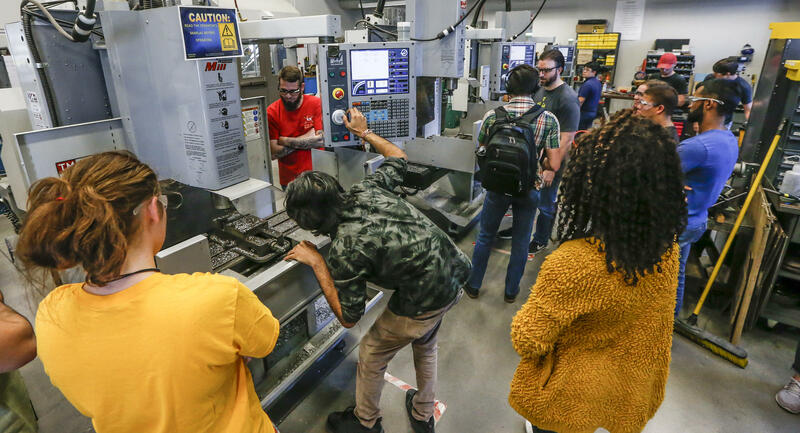 Wichita State teaching assistant Pavan Bhavsar shows students how to use a milling machine at the College of Engineering's Mechanical engineering department. “It’s been a very, very good investment,” said Steve Skinner, an associate dean for the college of engineering at Wichita State. The Kansas Department of labor projects about 1,100 openings per year for engineers in the state. Without the increased number of engineers, Kansas would face a shortage for the occupation. But now the state is producing more than it can put to work. With more than 1,300 engineering graduates a year, that’s about 200 more than expected openings. 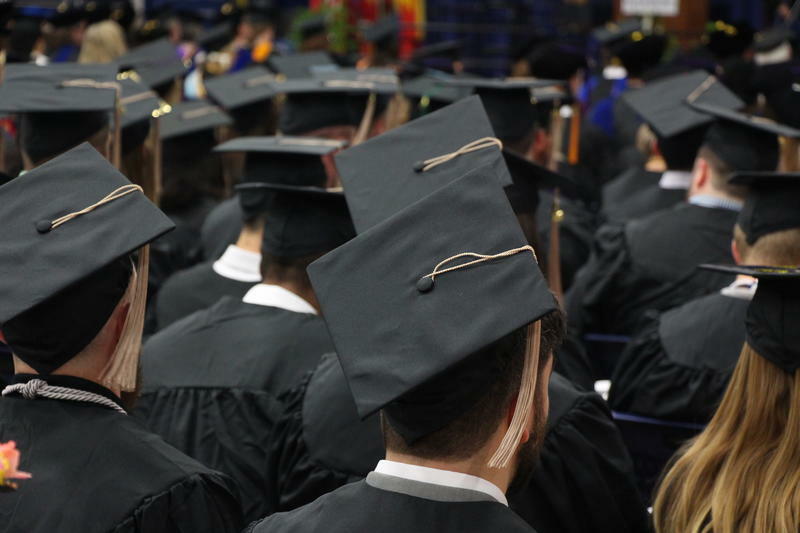 Other factors matter — some graduates leave the state and only a portion of the openings are entry-level spots suited for someone with a new diploma — but that number represents a surplus of engineers with a continued push to add more. 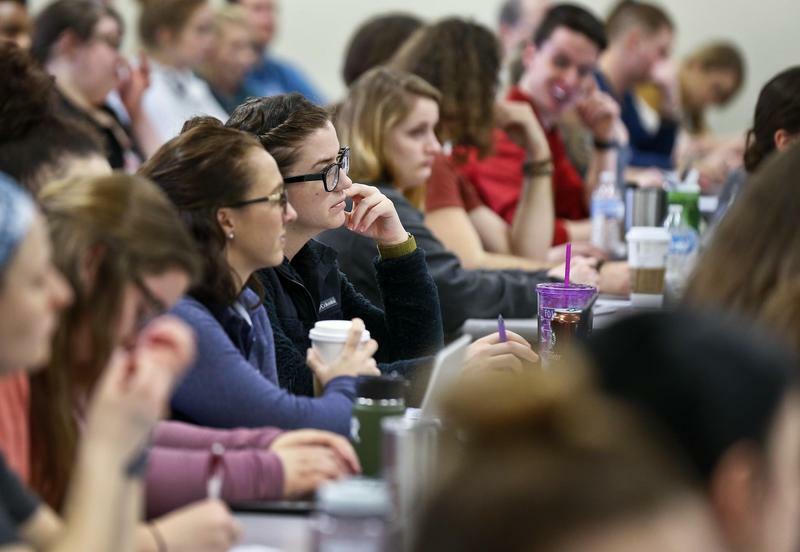 At the same time, dozens of other high-paying jobs in the state go unfilled. The state needs more electricians, accountants, information technology specialists and machinists. Yet millions more in funding is invested in training engineers than any of the higher demand careers. Nursing has the highest demand score set by KDOL. The state has more than 1,800 projected openings a year. But while engineering gets more than $10 million a year from the state, the nursing initiative provides less than $2 million. Blake Flanders, the president of the Kansas Board of Regents, said that actions taken by the Legislature don’t always align perfectly with the Labor Department. But he said engineering gets so much more investment because it plays an essential role in the economy. Some of the largest employers in the state, including Spirit AeroSystems and Textron Aviation, rely on engineers. The University Engineering Initiative Act says engineering-intensive industries represent a third of the state payroll tax base. The Regents say engineering-heavy industries lead to the creation of other jobs — notably suppliers to support large manufacturers. That leads to a stronger economy. “Base” industries, such as manufacturing, lead to more economic growth in the long run, according to Jeremy Hill, the director of Wichita State’s Center for Economic Development and Business Research. And while nursing fills a critical need, it doesn’t expand the economy. “Health care is not a base industry,” Hill said. "I don't know anything that would make engineering stand out." KDOL downplays how large a factor engineering-driven industries play in creating additional jobs. “It’s more of a side note,” said Tyler Tenbrink, an economist with KDOL. Based on the labor department’s numbers, Tenbrink doesn't see a reason to invest more in engineering than other high demand jobs in the state. “I don’t know anything that would make engineering stand out,” he said. An abundance of trained engineers does mean manufacturing companies can hire quickly if the aviation industry heats up again. “If we win new business with Boeing or Airbus, then we will increase the quantity (of engineers)," said Alexis Buzzi, manager of senior systems core-engineering at Spirit. That local workforce can also keep any newly created jobs from moving out-of-state. “If you have a well-trained, well-educated labor market that supports the expansion of that company or industry, you're more likely to keep that industry and keep the expansion in state,” said Iris Palmer, a senior policy analyst at New America, a left-leaning, tech-focused think tank studying education and other topics. 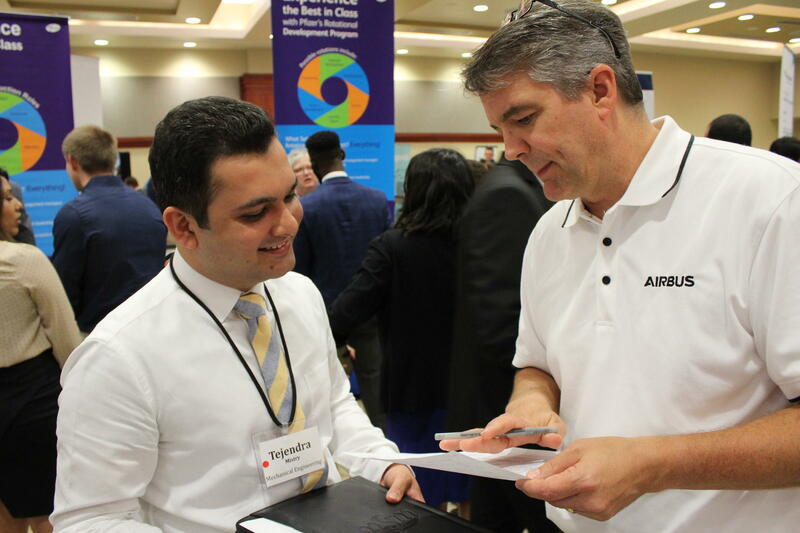 Wichita State engineering student Tejendra Mistry presents his resume to Corey Ervay, the head of engineering resources at Airbus, at Wichita State's engineering career fair. Many students at Wichita State's engineering career fair were looking for internships. Those hunting for permanent jobs discovered many companies weren’t looking to hire many more engineers. This is Part Five in our series on college and careers. Don't miss Part One on the advent of the "college economy," Part Two on planning life after high school, Part Three on Kansas' tech college boom, Part Four on free dual credit classes for high schoolers, Part Six on college major tips, Part Seven on "degree inflation," and Part Eight on the access to four-year college in southwest Kansas. Kansas News Service stories and photos may be republished at no cost with proper attribution and a link to ksnewsservice.org.This story was produced with support from the Education Writers Association reporting fellowship program.